Join your fellow Navy Yard employees for a free, weekly all levels group run at the Navy Yard! The Navy Yard Running Club will meet every Tuesday at 5:45 for a 2-4 mile run, interval run, or special run (details TBD! ), ending with runners’ specials at Bar Amis. Joining the Navy Yard Running Club is free, but register below to stay up-to-date on running club news, schedule changes, inclement weather, and special running club perks. 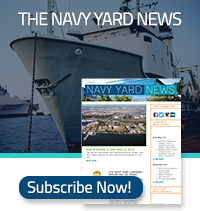 Do you work at the Navy Yard?